With the onset of warmer weather I've been in manic mode shooting and printing new work, and trying to catch up on the back log. I'm adding new work to several portfolios, beginning with Dogtown. Several of Roger Babson's stones bedeviled me, and this is one of them. Sometimes it's the lighting, other times it is the Holga in a bad mood. Persistence and luck finally prevailed. REBEL, which I found in an ancient AMC dealership, Collier Motors, in Pikeville, North Carolina. Closer to home, I photographed the last business day at the Hilltop Steakhouse in Saugus, MA and made this image. The plastic cows were gone the next day. All that remains on the site of this historic restaurant now is the mammoth sign. 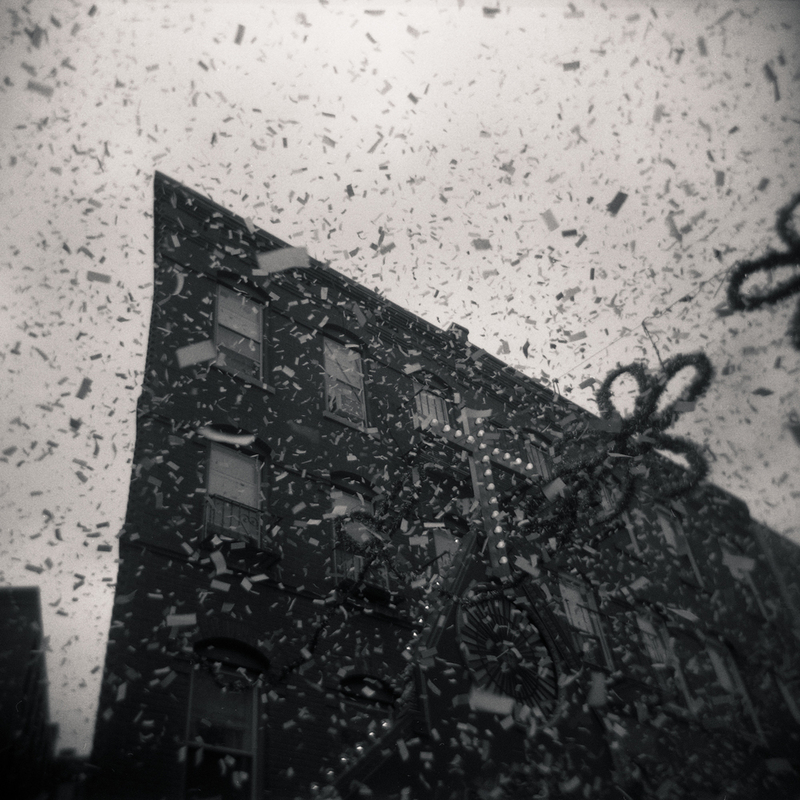 The image below was taken during one of the many Feast Day Festivals in the North End of Boston. 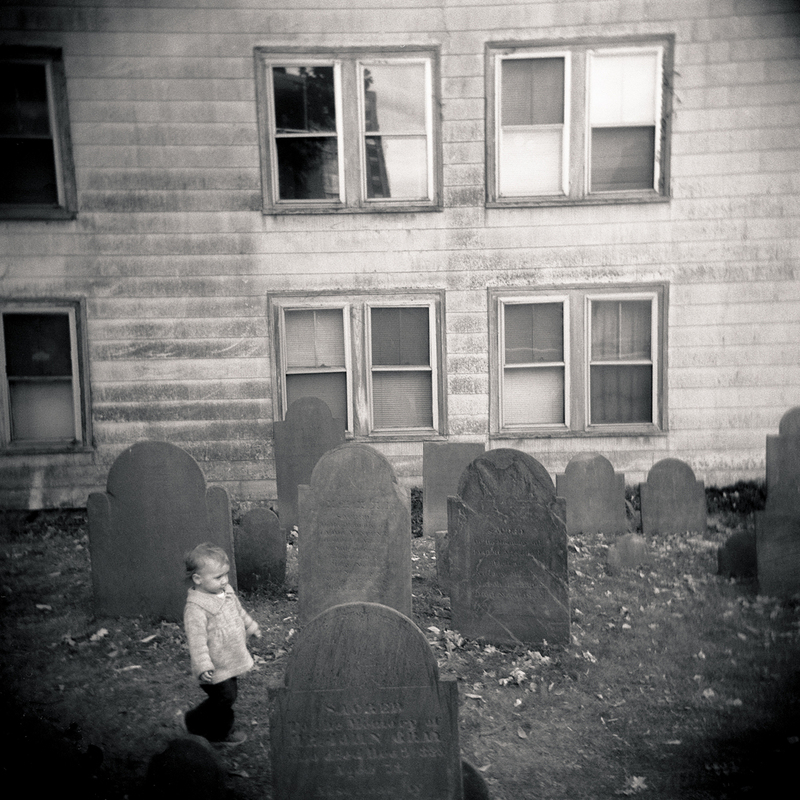 This last Holga image I captured in a cemetery in Salem Massachusetts. I remember thinking "beware the obvious Bill, cliches abound". When the child walked into the frame I just couldn't help myself. It is about time I added GARDEN to the portfolio "Alexia's Lament". GARDEN was another image that took several attempts before striking gold, and again, the conditions needed to be just right. This was taken outside TD Garden between the subway exit and North Station entrance. Exit the subway at night after a rain, walk a certain line, and there you have it, GARDEN reflected upside-down, looking somewhat cyrillic, in a puddle. Shoot wide open at an eighth of a second, exhale slowly, trip the shutter, and hope. This wonderfully ugly derelict mansion I photographed in North Andover has experienced various stages of construction, then de-construction for several years now. I'm currently laying the foundation for a new project on the Mason-Dixon line and planning several trips south this summer. I'll introduce this latest project in my next post. See you on the street!